Please stay tuned for 2018 updates! 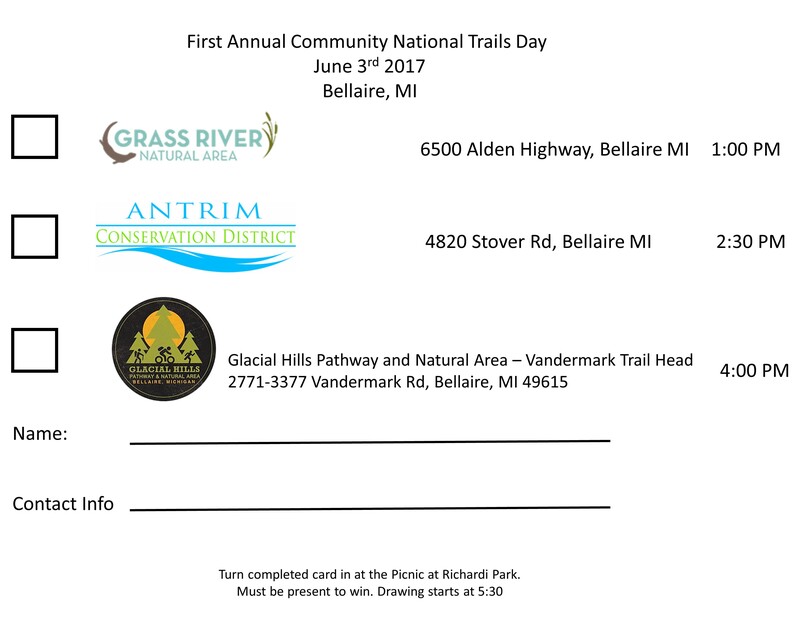 Stamp your National Trails Day passport for an afternoon of guided trail hikes, bike rides, open houses and children activities hosted by Antrim Conservation District, Grass River Natural Area, Glacial Hills, Norte! and Bellaire Boyscouts. 5:00 pm Paddle Antrim community paddle: starting from Richardi Park and headed north up the river towards Intermediate Lake. Arrive at 5pm for a 5:30pm launch. Must bring your own paddle craft and lifejacket. Drawings will begin at 5:45pm; must be present to win. 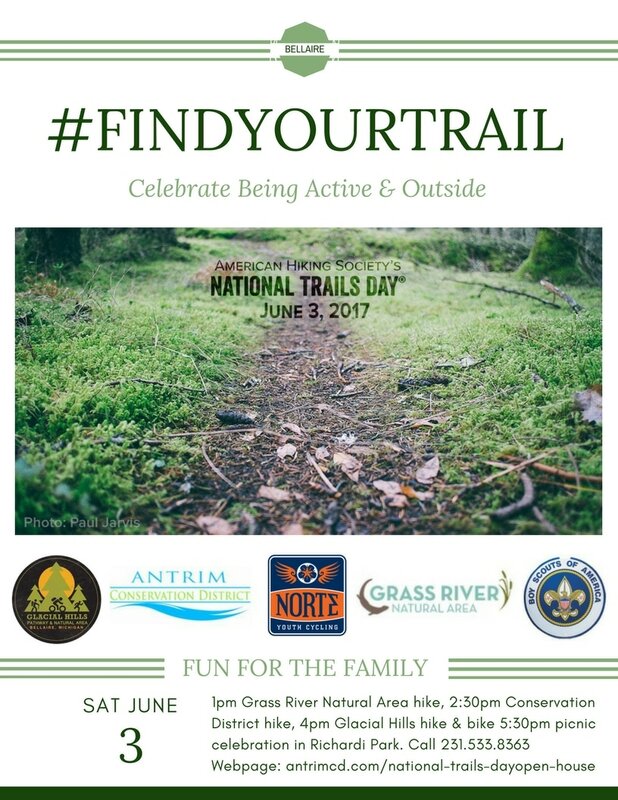 Join the team at the Antrim Conservation District for our 3rd Annual American Hiking Society’s National Trails Day® at the Cedar River Natural Area! This year we'll be hosting an interpretive hike in the Cedar River Natural Area during our Open House. Come out and meet the Antrim Conservation District board, staff, and AmeriCorps member to learn about the Cedar River Natural Area, as well as other services the Conservation District provides! Kids are encouraged to attend! National Trails Day® also sponsors a Photo Contest, so don't forget to bring your camera! Please join us for our annual Open House from 10am-3:30pm! Meet the staff and board of the Antrim Conservation District, as well as many of our partner organizations to learn more about ways we are actively conserving your county's natural resources! In addition to learning more about your local Conservation District, free refreshments and activities for the whole family will be provided.